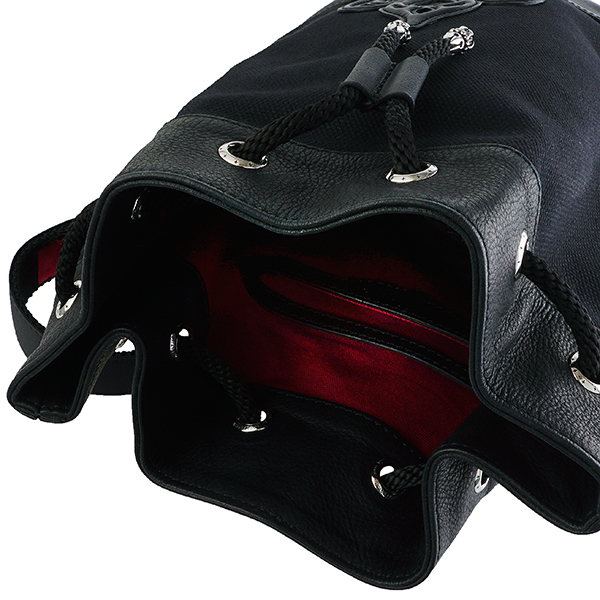 Sailor bag made of thick black cotton canvas and full leather, handmade one by one in our workshops. Lined with soft and solid red canvas. The loops and other metal elements are made of stainless steel.